It`s all change at the top of the women`s National League 1, Edinburgh University were held to a 2-2 draw by Dundee Wanderers while Clydesdale Western beat Grange 7-0, the result is that the latter take over pole position on goal difference with one game left to play. At Peffermill the scoring was over by half time, Amy Brodie at a penalty corner and Hanna McKie were on target for the students, but on both occasions Vikki Bunce levelled for the Taysiders. Bunce might have got her hat-trick and the winner later on, but her effort was chalked off. In contrast, Western were never in any trouble against bottom side Grange, Millie Brown got two and the rest came from individual players. Perhaps the best contest of the day came from Tayside where Watsonians emerged victorious 5-4 against Grove Menzieshill and secured fifth place in the table. After 10 minutes Lucy Smith opened the scoring for the home side with a well worked penalty corner routine, but after 25 minutes Faith Joubert had levelled for the Edinburgh side from close range. 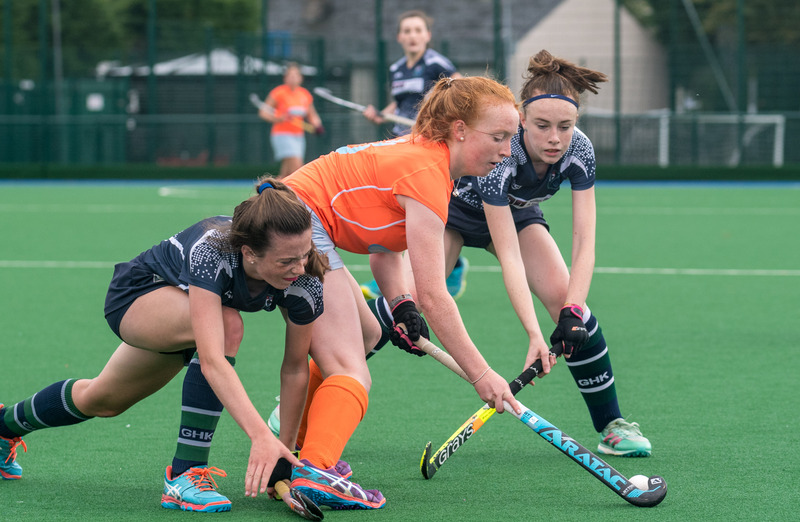 Three goals in six minutes early in the second half seemed to seal the victory for Watsonians, Heather Tait scored with a deflection while Lucy Lanigan added two more for a 4-1 lead. It was extended when Ellie McKenzie added a fifth to put the Edinburgh side well in front. But back came the Taysiders, Sam Sangster pulled one back at a penalty corner, Katie Stott added another, and then Lucy Smith got her second following a pass from Sangster to make it 5-4, but that was the end of the scoring. In the men`s league Grange put the icing on the cake of their National League 1 triumph with a 3-0 win over Clydesdale in a rearranged fixture at Fettes. There was no score until two minutes from the interval when Frank Ryan put the champions ahead with a direct shot at a penalty corner. A quick double in the opening 15 minutes of the second half settled the affair, Duncan Riddell scored first followed quickly by an open play strike from Ryan to keep Grange`s unbeaten record intact.